Green Tea Brewing and Green Tea Role as an Antioxidant !!! Tea is one of the most popular drinks in the world. Because of its subtle taste and its feel-good effect, it’s a fixture in a lot of dining tables worldwide. And because of its numerous health benefits, it’s talked about as a cure for all kinds of health problems. Of course, it all starts with the proper preparation techniques. And while there are other techniques in preparing tea, the best way to prepare green tea is by brewing. What is the importance of brewing and how is it done the right way? All these questions will be answered in this article. There are many reasons brewing is considered as the ideal way of preparing green tea. First of all, it keeps all the core components of tea intact, meaning you’ll get all the health benefits and taste from the cup you are consuming. Compared to fermented tea, brewed tea has more nutrients, vitamins, and other helpful compounds. Brewing is a better option because it brings out the best from catechins and theanins, 2 components unique with green tea. This also consequently reduces the caffeine content of the finished tea. Last but not least, brewing actually improves taste and aroma, making it even more appealing in the palate. Brewing green tea is actually much easier than you might initially think. The process is composed of only a few simple steps, and it becomes intuitive once you get used it. Prepare the water – Water is a very important component of the brewing process. Ideally, you must use only soft mineral water or purified water as hardness can interfere with the overall composition of the tea. Tap water, as long as it’s clean, should do more than fine as well. If you’ll be using chlorinated water, it’s best to eliminate the chlorine first. The best way to do this is to let the water stand for a few hours. Eventually, the chorine will get out of the water in the form of gas. Boiling the water – Heat is a crucial element in the steeping process. Depending on the mechanism used for heating water, the time needed for boiling may vary. Once the water is boiling, it is advised that the pot or vessel is uncovered. In relation to this, the heat used for steeping tea may vary. Having the right temperature ensures proper steeping and maintaining tea integrity. Green tea usually needs lesser temperatures (around 70-80 degrees C) for steeping. Steeping – Steeping time on the average lasts anywhere between 3 to 5 minutes. This involves dropping in the tea leaves or bags into the water. With longer steeping times, thorough infusion of the leaves’ contents is made possible. What’s more, it also allows for the release of more polyphenols, a component responsible for tea’s antioxidant properties. During the process, it also reduces the caffeine content of your drink. Proper steeping techniques can go a long way in helping you enjoy tea. It’s impressive how these simple steps can greatly help in improving your tea drinking experience. People have been associated with drinking green tea for some centuries now, and up to this day, green tea has been among the most popular beverage ever. 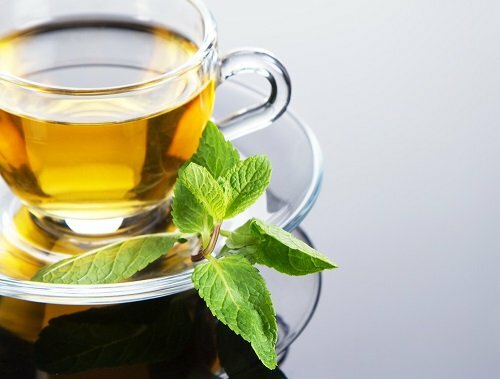 Not only is it loved for its rich and unique taste, many appreciate the simple fact that green tea is full of health benefits that man (especially modern man that is) badly needs. It’s true that while the modern lifestyle can be best described as fast and exciting, it’s also demanding and unhealthy in so many angles. All the sickness and diseases that we get from this modern and active lifestyle are nothing short of serious, and very expensive. All the treatments that will follow are sure to cripple us financially. There’s another approach to all these, however. It’s about willing yourself to make that switch to a healthy lifestyle to start living a healthy life that you will define you throughout the rest of your life. And drinking green tea is a big part of that healthy lifestyle. All the health benefits that come from it are a much cheaper way to offset all that expensive investment on commercial treatments against our diseases. This means if you start drinking green tea now, you wouldn’t have to worry about cancer or other age-related diseases later on. Consider the habit of drinking tea the best way to prevent such diseases from happening to you in the cheapest way possible. Another good thing about green tea is antioxidation. We humans, and including all our body processes, need oxygen to survive. The oxygen element is abundant all around us, and when it is adequately introduced into our body systems, it’ll aid in the process of burning fat and glucose inside our body so they can be converted into energy and heat that our body needs for our day-to-day activities. This should tell us that oxygen is all essential; too much of it however, is already harmful. Too much oxygen introduces negative effects to our body systems instead. “Free radicals” are the byproducts of oxidation. There are cases where certain molecules interact with these free radicals, turning them into free radicals as well. This eventually disrupts the normal functions of such molecules, leading to tissue damage and finally, cell destruction. And that is not healthy at all. These can be interpreted by the manifestation of various degenerative diseases (rheumatoid arthritis, Alzheimer’s disease, cancer, heart diseases, Parkinson’s disease, and arteriosclerosis. Fortunately, the human body is sufficiently equipped with natural defenses against the harmful effects of these free radicals. Eating a whole lot of fruits and veggies that contain antioxidant components (and making them the main focus of our diet) also keeps these free radicals at bay. Drinking green tea on a regular basis also gets you the same positive effects. Together with the fruits and veggies, drinking green tea creates a very strong wall, protecting you from these age-related diseases. Camellia Sinensis is a popular tea plant because of its abundance of antioxidants. It is also what gives green tea its rich flavor. Enjoy it now!